AC2000 Occupancy Zones is designed to count and limit access control to pre-defined zones within a building onsite. 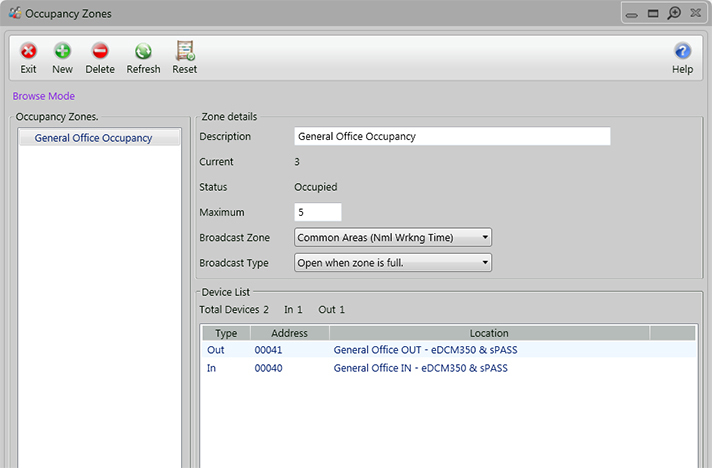 Using the AC2000 Occupancy Zones application, system administrators can set a maximum number of current card transactions for each zone. AC2000 Occupancy Zones automatically prevents people from entering a zone once the maximum occupancy level has been reached. This can be used for operational purposes or to assist with health and safety procedures. For example, AC2000 Occupancy Zones is ideal for car park applications. When a maximum number of cars are reached in the car park, AC2000 can trigger a car park barrier to close when the car park becomes full.